Most families have holiday traditions, enjoyed to a greater or lesser degree depending on the people and paraphernalia involved. These can develop unintentionally. For example one friend’s father-in-law-in-law (meaning he’s her son’s connection, not her own) has established a practice of spending the entire day bad-mouthing and swearing over national Democratic politics. Hardly conducive to pleasant conversations, let alone good will. My father’s was to give my mother a pair of flannel pajamas. Hardly romantic. Whatever yours includes–midnight church service, caroling, roast beef for dinner instead of turkey, opening one gift on Christmas Eve, decorating with ugly candles passed along from grandmother–the list goes on endlessly. You can get sabotaged by rituals if you allow them to become dictates. One friend was so turned off by her partner’s insistence on perfect decorations that she gave up all holiday signs after she lost him. For years my family’s tradition was tootling on kazoos. I can’t say enough good things about kazoos. Anyone could play one almost immediately. Even my tone-deaf husband joined in with no embarrassment. Laughter abounded, overflowed, and made our stomachs ache. Seems to me the birth of the practice was the radio or record player booming after the holiday dinner, and guests began humming and singing along. Lacking a piano, organ, or guitars, I longed for some method to increase our volume and coordinate the melody. I can’t recall why I had a stock of several dozens of kazoos many Decembers ago, but I pulled them out and distributed to anyone who’d take one. The music from electrical equipment quickly became overpowered by the strength of the live performers in my living room. Easy to play were the oldies “Jingle Bells” and “We Wish You a Merry Christmas.” However, we quickly mastered playing parts and playing in rounds. I don’t know how we had the breath to keep the concert going. We seemed to break down in hysterical laughter as much as we made music. Each person tried to toot louder or more dramatically than his neighbor. 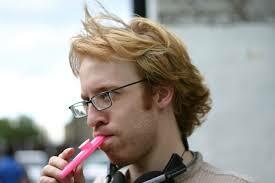 “If you can hum, you can play” is the advice of kazoo aficionados to novices. The mistake of most newcomers is to blow like you would a trumpet, but the player’s voice needs to vibrate in order to make the membrane inside the kazoo, which amplifies the notes, quiver. This membrane can tear or stretch, but if you’re as dedicated as I am, you’ll learn you can replace it with tissue paper or even plastic wrap cut to the correct size. YouTube has videos that offer instruction if you’re a rule klutz. The highlight of our holiday performances? Nothing can match the musical thrill of the “Hallelujah Chorus” from Handel’s Messiah played in parts on a dozen kazoos. It beats a production from the Mormon Tabernacle Choir because you and your family and friends are playing it. Those who prefer can sing the tune in parts of harmony. Kazoos appeared on the American scene in the mid- to late-1800s. However, they’re related to a number of membranophones, instruments that modify the player’s voice through vibrations. They have waxed and waned in popularity and still sell in the millions. I personally prefer the timbre of the traditional metal variety, but plastic versions appear in most toy stores.